This sweet christening dress will definitely be everyone’s favourite. Ideal for a Christening, naming ceremony or christening after party. This adorably cute Girls Baby Dress is very beautiful. 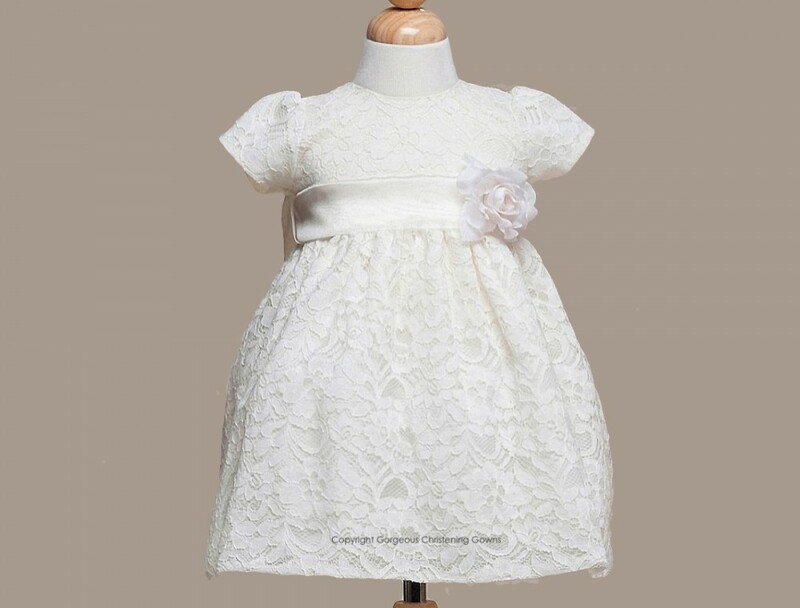 Cute cap sleeves with a round neckline sets off this adorably sweet christening dress. Entire dress is done in a beautiful rich lace overlay with wide sash and flower accent at waist. Available in a rich Ivory colour.